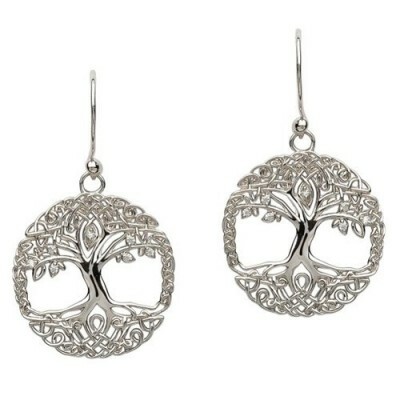 The fine carving details of our Sterling silver Tree of Life Earrings will have admirers leaning in for a closer look! The intricate knotwork within the tree roots connects in an endless circle with the expansive branches of the ancient tree. 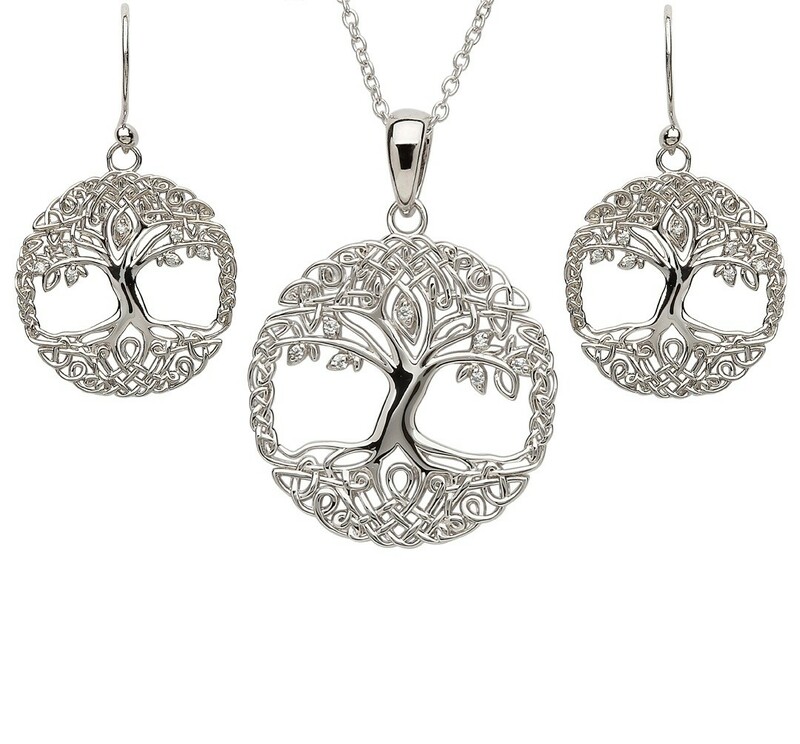 For added inspiration, we’ve inlaid the tree leaves with shimmering CZ stones. 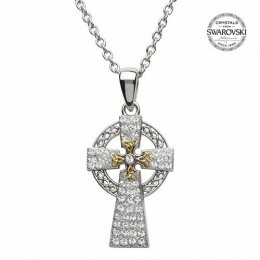 Hand-crafted in Ireland. 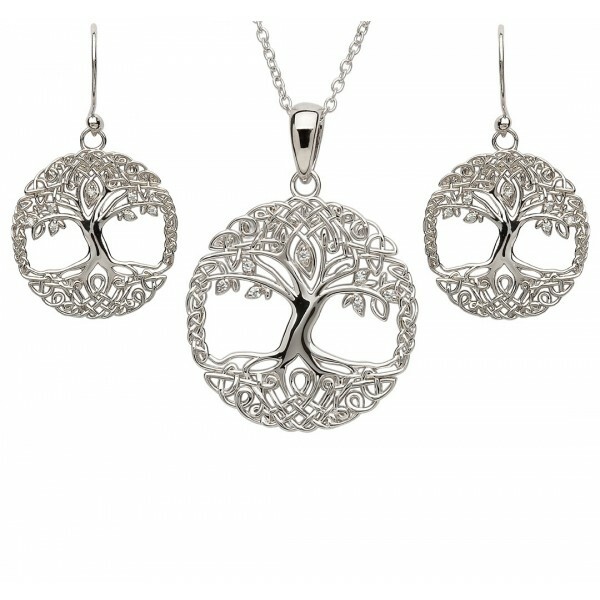 Pair these lovely earrings with our Sterling Silver Tree of Life Pendant Necklace! 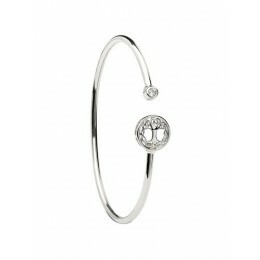 The great Tree of Life holds special meaning in Celtic culture and belief. For centuries, the Tree has encompassed the truth and power of humanity’s primal connection to Nature and to other worlds. “As above so below” resonates with truth as you contemplate the interconnectedness of the World Tree -- with roots in the Underworld and shimmering leaves in the Higher Realms. The unshakeable trunk represents our own world and lives. 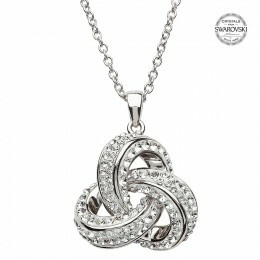 Together, the whole serves as a symbol of harmony and balance.